Talks are ongoing over the title sponsorship of next year’s North West 200 following the conclusion of Vauxhall’s existing deal with the international road race. The British automotive company has been at the helm of the international road race since 2013 after initially sponsoring the inaugural Supertwins race in 2012, which was won by top Ulster rider and class ambassador Ryan Farquhar. NW200 Event Director Mervyn Whyte has revealed he is in ‘early discussions’ to tie up a new deal with Vauxhall Motors Ltd for next year’s event, which he hopes to have in place before the end of the year. “We’d like to have it all done and dusted in time for Christmas,” said Whyte. “We’re in the early throes of discussions and it will be another few months yet before we’re in a position to hopefully make an announcement. “A longer-term deal is always nice because it gives you that stability and continuity for a while and you know where you stand for a couple of years, which is a big help when you’re trying to make changes and move forward,” he added. 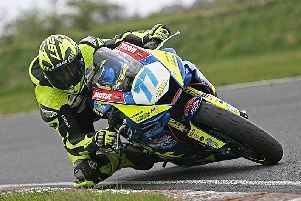 Meanwhile, Whyte (66) will embark on his now annual trip to the Macau Grand Prix in November where he has signed up a number of riders to contest the North West in recent years, including leading overseas road racers Horst Saiger and Didier Grams. Before then, he will also attend the final round of the MCE British Superbike Championship at Brands Hatch to make some tentative enquiries in the BSB paddock. “I’ll be going over to Brands to talk to a few riders and teams because it helps to keep the North West in their minds for next year,” Whyte said. “I’m going back to Macau next month too and in the past we’ve brought riders through including the likes of Horst Saiger and a few others, so the plan is to do the same again.